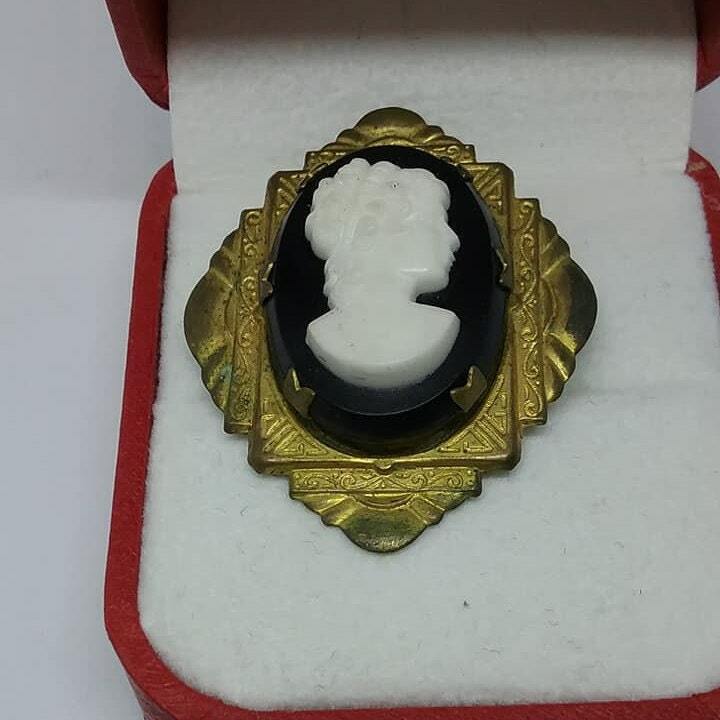 Vintage cameo brooch, Victorian revival, mourning pin. Beautifully aged metal shows antiquing on four edges, and some appropriate wear on the back. 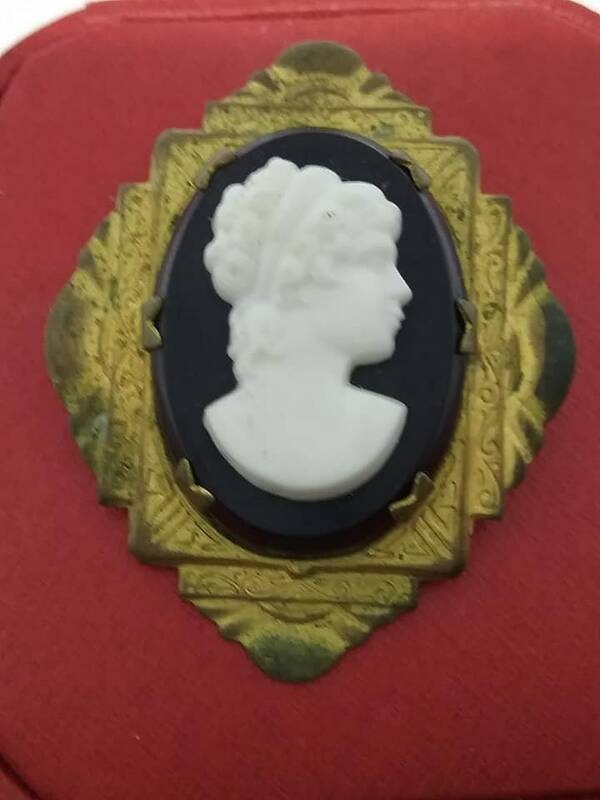 Very good vintage condition shows wear from aging, but it is all part of the charm of this brooch. 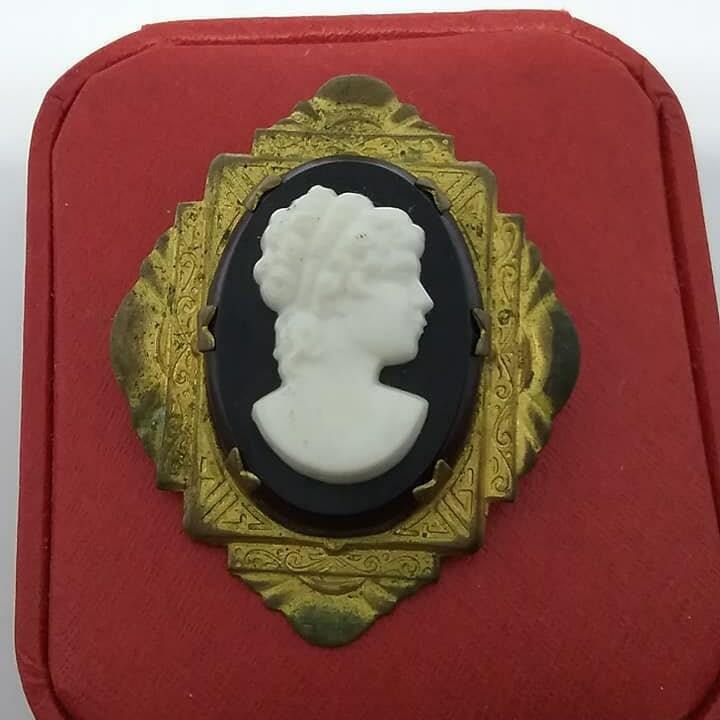 The white outline of a Victorian woman is set on a 6 pronged black setting, which stands out on he bronzed/aged metal backing. 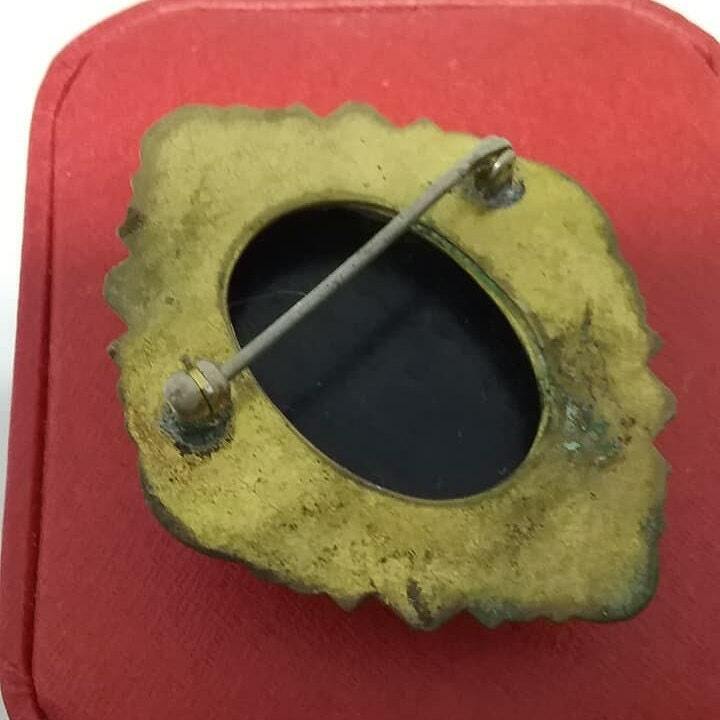 Possibly a mourning piece. I am not sure of the history behind this piece, but I'm sure she holds many memories and secrets.